Cape and Island emergency response agencies are taking measures to avoid or mitigate a disaster at sea on a high capacity passenger vessel (HCPV). Travel on U.S. flag passenger vessels is widely recognized as the safest means of transportation in the country. 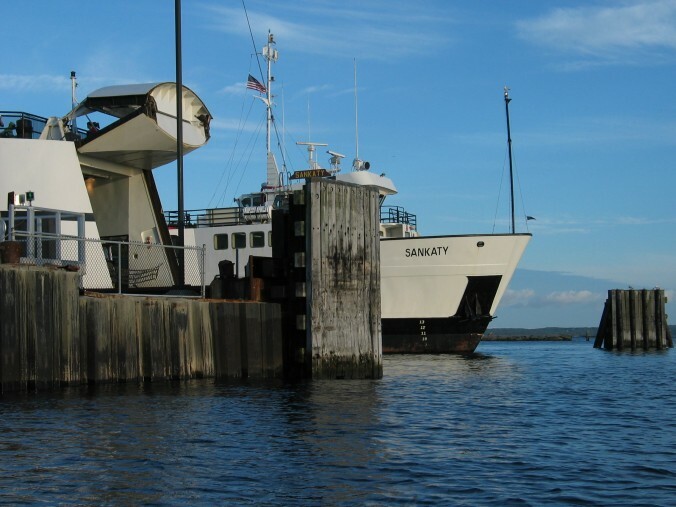 Around Cape Cod, about 3.75 million passengers safely ride ferries to and from the Islands each year. This excellent safety record is due in large part to the joint efforts of the passenger vessel owners and the U.S. Coast Guard in ensuring that passenger vessels are built, crewed, and maintained to the highest standards. However, the ferry companies along with local, state, and federal emergency response agencies are not complacent when human lives may be at risk. Accidents can still happen even in the safest of industries. Those responsible to respond are making sure they have the plans, organization, training and resources to handle any emergency. A brief look at local history shows at least two serious groundings of HCPVs in the last 20 years; the RMS Queen Elizabeth II on August 7, 1992 near Cuttyhunk Island with 2,827 people embarked. And, on July 28, 1985, the passenger vessel Pilgrim Belle with 200 people on board ran aground off Sow and Pigs Reef, Vineyard Sound. In both cases, the vessels remained afloat and alert shipboard personnel and emergency responders stabilized the situations, coordinated the offload of passengers and brought both vessels to a safe haven. Damage to the QEII was significant, with a price tag of $13.2 million structural damage and total lost revenues topping $50 million. So how are emergency response agencies addressing accident scenarios like grounding, collisions, fires, and even terrorism? Their first priority remains with prevention. The Steamship Authority and other ferry companies conduct regularly scheduled casualty control drills required by the U. S. Coast Guard and designed to rapidly address a myriad of problems, from steering casualties, car fires, engine room fires, and flooding to name a few. These inspections and the rigorous Coast Guard certification standards of these vessels are designed to ensure that the vessel itself is its own best rescue platform. But, what if something beyond their capability or control occurs? 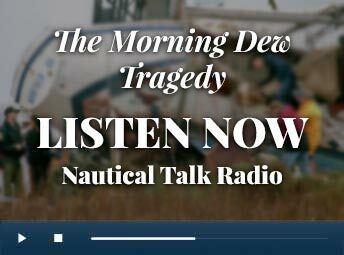 A quick check of local Coast Guard resources reveals an inventory of smaller boats and cutters 110 feet or less designed for a quick response to emergencies that are most typical for this area. These vessels rescue an average of 100 people in the course of 1,200 to 1,800 search and rescue cases each year. The Coast Guard’s small fleet of rescue vessels will respond immediately, but it’s not realistic to think hundreds or thousands of people will be evacuated from comparatively large ferries using 41-foot utility boats. The answer to the question of large scale evacuations and other complex dilemmas lie in a recent cooperative effort of some 40 agencies, including the Steamship Authority itself. Quarterly meetings of a newly formed Passenger Vessel Risk Management Work Group (PVRMWG) have begun to be held with federal, state and local response agencies in an effort to take actions now which will avoid or ameliorate a disaster involving a high capacity passenger vessel. Multi agency work groups have tackled complex issues such as fire fighting at sea, evacuation and treatment of victims, siting of a unified command post, and interagency communications necessary to coordinate the efforts of the 40+ entities. The FBI is leading the way addressing security and crime scene issues. Rescue personnel are now sensitive to law enforcement’s need to later examine possible crime scenes. The Steamship Authority and the Coast Guard are better prepared to evacuate people from ferries and handle hazardous materials. The Steamship, for example, has agreed in concept to immediately take another ferry, perhaps a high speed ferry, out of service as a primary resource to evacuate large numbers of people. They are also considering outfitting some of their workboats with fire monitors to address a need to direct a large amount of water onto the hull of a burning vessel. local roadways and speed primary care to those in need. New agreements and capabilities have been struck and are now better understood by all 40 agencies. Future meetings will address how best to organize the many organizations should they need to be mobilized and plans will be developed for an on-water field exercise to test the plan. Thanks to this recent cooperative effort, local high capacity passenger vessels and emergency response agencies are better prepared for any eventuality large or small.